Each with two options for movements. 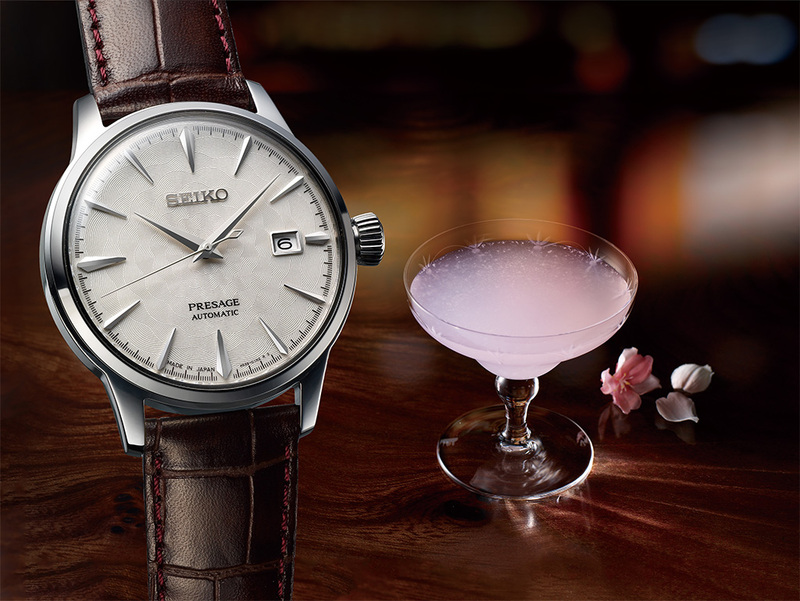 The Seiko Presage collection welcomed the addition of a new series inspired by the world of the cocktail bar. Eight models, each inspired by a different cocktail were introduced and well received. 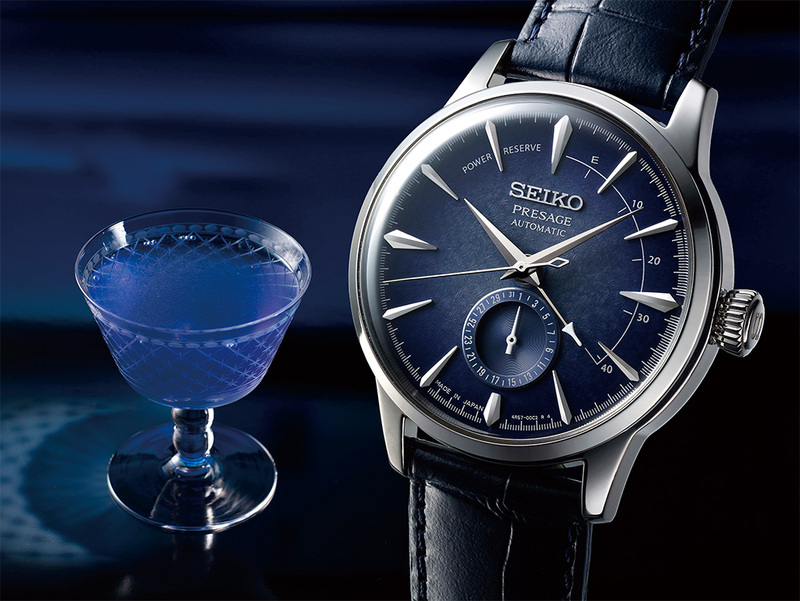 Two new designs are added to the Seiko Presage Cocktail Time, inspired by drinks created by Hisashi Kishi, the head bartender at the STAR BAR in Tokyo’s Ginza area and a past winner of the International Bar Association World Championships. Hisashi Kishi, the head bartender at the STAR BAR in Tokyo’s Ginza area and a past winner of the International Bar Association World Championships. The Sakura Hubuki cocktail expresses the beauty of cherry blossom in the spring breeze. Each of the two designs is available in two versions. One uses the 4R35 three hand calendar caliber while the other offers, in addition, a center power reserve hand shaped like the stem of a cocktail glass. Both are automatic but can also be wound by hand. All four versions offer exhibition case backs.